What does this world need more of? Yes, for certain, this world needs more hope and love, but it also need encouragement. Yes, today more than ever we need to be dispensers of encouragement to a lost and hopeless world. We need the gift of #PropheticEncouragement more than ever today. Have you noticed that we live in a negative world? It is all around us. You turn on the news, it’s there. You look at the newspaper, social media, etc. everywhere we turn, negativity seems to be abounding. When negativity increases, hopelessness and despair also increase. We, as Christ followers, need to be dispensers of hope, love, joy, light, life and all the gifts of the Spirit. How do we do that? We do that by following the example of Jesus. Everywhere that Jesus went, He brought life and hope and fought against darkness. Jesus did this by obeying what His Father(God) in heaven told Him to do and say. Jesus essentially heard the words of God for others and He spoke them over their situation and circumstances, and we should do the same. Every Christ follower needs to follow the example of Jesus and operate in this profoundly encouraging gift. The Gift of prophetic encouragement breathes life, love and hope into the dry places of our lives. #PropheticEncouragement breathes life into the dry areas of our lives. To encourage someone literally means to put courage into them. Have you ever needed encouragement? I know I have. Truthfully, I need it on a daily basis, don’t you? In short, the spiritual gift of prophecy is speaking a Holy Spirit-inspired timely word of edification, exhortation, or comfort to individuals; taken directly from 1 Corinthians 14:1-3. I will develop a more complete definition of the word “prophetic” in next week’s blog. Follow the way of love and eagerly desire gifts of the Spirit, especially prophecy. For anyone who speaks in a tongue does not speak to people but to God. Indeed, no one understands them; they utter mysteries by the Spirit. But the one who prophesies speaks to people for their strengthening, encouraging and comfort (1 Corinthians 14:1-3 NIV). Simply stated, the gift of prophetic encouragement is the spiritual gift of prophecy in action. Prophetic encouragement releases the heart of the Father into people’s lives and situations. #PropheticEncouragement releases the heart of #God into peoples situations. Because space is limited, and I don’t want anyone to miss out, I have decided to also launch a “#BeTheGift Encouragement Experience Group.” This group is open to everyone who needs encouragement and to those who want to encourage others. Please join the group (link below or click here) and invite your friends to join as well. We will have fun weekly “Encouragement Missions” oriented around encouraging and blessing others. The group opens today and run through September 6th (2 weeks after the books release). Below is the group description. I promise it will be fun, we will build community and encourage others and in turn receive encouragement as well. 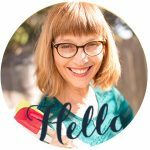 I pray you will join me for this fun interactive encouragement group. Welcome to the #BeTheGift Encouragement Experience Group. In preparation for the August Release of Debbie Kitterman’s book: The Gift of Prophetic Encouragement, this encouragement group will put into practice what it means to encourage others and be the gift someone needs today. 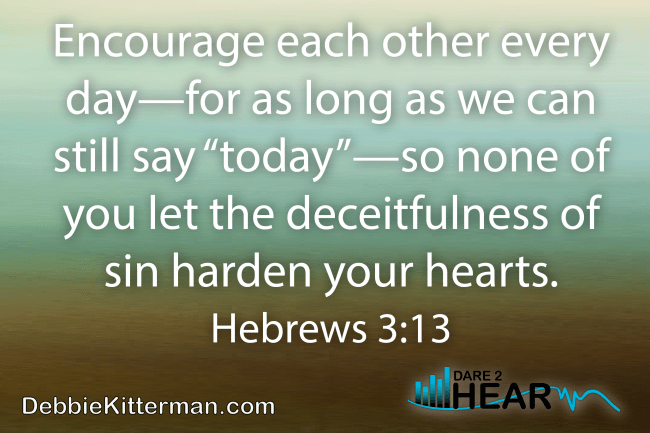 Hebrews 3:13 says: “Encourage each other every day—for as long as we can still say “today”—so none of you let the deceitfulness of sin harden your hearts” (The Voice). There will be weekly “Encouragement Missions” designed to help us #BeTheGift someone needs today. There will also be mini teachings, interviews and powerful testimonies of how timely spoken words of encouragement can change a person’s perspective. After all, Proverbs 25:11 says: “A well-spoken word at just the right moment is like golden apples in settings of silver (The Voice). Please join me from June 14th – September 6th for this “#BeTheGift Encouragement Experience” as we walk out in practical ways what it means to #BeTheGift and change our world, churches and communities as we encourage others. Won’t you join me as we journey together in going deeper in our relationship with Jesus and as we are used by God to be the gift others may need today? May we all rise to the challenge and dare to hear God today, so we can be gifts of encouragement to others. Speaking a Holy Spirit-inspired, timely word of edification, exhortation, or comfort to individuals. “On a Train En Route to a Funeral” – Happy Father’s Day, Everyone! Sue also has a link to her dad’s favorite lemon velvet cake recipe. You are going to want to check it out. I feel it is very fitting that Sue’s post honoring her dad had the most views making Sue our spotlight just before Father’s Day. Sue, my deepest sympathies at the loss of your father, even though it has been 4 years since His passing, the legacy he left and the love you feel for him is just as strong. What a wonderful long life your father lived. I love the idea of encouraging each other. We DO need more encouragement in this world. I feel fortunate to belong to the running community on social media. 99.9% of the posts are those of encouragement for each other. It is truly a wonderful group! Thanks for sharing Sue’s beautiful and poignant post. This is a great community of mutual encouragement! Exciting Debbie!! Congrats on the soon-to-be launch of your new book! I’m looking forward to following along with your newest adventure! I couldn’t agree more- we NEED the gift of prophetic encouragement! My sister just had an amazing experience with this. Left her speechless! Thank you for your words!! Thank you, Rachel! It is exciting and a tad overwhelming all at the same time! Oh Rachel, I would love to hear all about your sisters experience. In fact one of the things I hope to include in the Facebook group – – #BeTheGift prophetic encouragement experience is people’s testimonies and the power of receiving encouragement from others. Thank you for your support and following along in the new adventure! You are such an encouragement to me! What a powerful reminder! I completely agree that there is way too much negativity. As Christians, we should not be adding to that! Emily, you are so right. We need to move in the opposite spirit of negativity! I am so glad you agree and thanks for linking up and commenting today! Lauren, I am sure you would agree that encouragement is a powerful tool. I love how God will nudge me or stir my heart to speak a blessing, or words of encouragement to others. Jesus, was a great encourager too, and I want to be more like Him. Blessings and thanks for linking up with me today. I hope you will check out the new #BeTheGift Facebook group I linked to today and check it out. I am sure you will be overly blessed by the interaction and encouragement from others. Today we kicked off, but it’s never too late to join in the encouragement fun! I love making it a game to see if I can coax a smile or positive word from appointment secretaries, clerks in stores, etc. If I can help someone mellow their negativity, I think I may feel more blessed than they. Anytime we can be the hands, feet, or words of Jesus, everybody wins (maybe even the person who overhears our words of encouragement). Thanks and blessings for your exhortation, Debbie! Oh Alice, I do the same thing! I sometimes will choose the ones with the sourest look, or the most discouraging looks. LOL It is always fun to turn their frown upside down and make them smile. 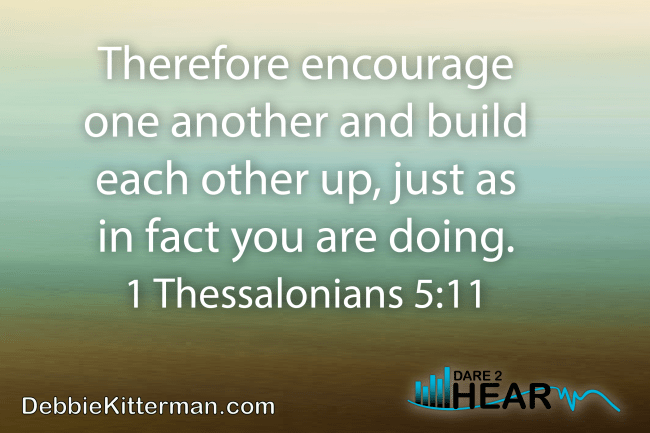 You are so right, anytime we get to do the work of Jesus and encourage others, even those who over hear, everyone wins! Thank you so much for sharing how you use encouragement to bless others and you completely understand what it means to #BeTheGift I hope you will consider joining the Facebook group – it will only last for 3 months to allow people to experience what it means to use encouragement on a daily basis to bless others. I love that you are spreading the gift of encouragement. It is definitely needed now as much as ever. I love to be encouraged, and I am encouraged when I encourage others! Thank you, Lisa! I too am encouraged when I encourage others – that is such a great reminder that it is great to receive, but just as great to give encouragement, because we too are encouraged. Thanks for sharing your thoughts and linking up today! That is so very true. Thanks for these wonderful words. Thanks for hosting and I hope that you have a wonderful weekend. We always need to be more positive. Thank you, Patrick. You are most welcome for the words I wrote today, and I always enjoy when you linkup and comment. Thanks for being here. I totally agree!! Encouragement is so needed!! Thank you, for giving us this info and hopefully many will join your #BeTheGift Encouragement Experience Facebook page. I can’t wait for your book to come out! Great post Deb,we all need that encouragement & especially those whom we know who aren’t walking in the Lord. And so many young people today are affected by the state of the world that it deeply affects their wellbeing. Encouragement goes a long way when it comes from the Holy Spirit! Patti, you are so right! We often never know the impact do we? Thank you for joining the Facebook Group and I am looking forward to all the fun we are going to have over the next 3 months in the #BeTheGift group! It’s only day one and so far, it’s been awesome! Hi, Im visiting from the Spiritual Sundays link up at #14,15,16. I love how you say “We, as Christ followers, need to be dispensers of hope, love, joy, light.” This is so true! Thank you for sharing! Hi Debbie, I never thought about how the word encourage literally means to “put courage into”. Mind blown! lol. Thanks so much for sharing this bit of encouragement to be encouragers as witnesses of Jesus Christ. Hi Karen… I know, it’s pretty awesome isn’t it!? !… when you breakdown the root words “en” means to put in.. so to encourage means to put courage into someone…. I love it. I appreciate your stopping in to leave a comment and I hope you will consider joining the #BeTheGift Encouragement Experience .. the link to the facebook group is in the post above. Oh yes! Building each other up should be on the top of all our lists. I definitely want to be an encourager.